Salman Obaidul Karim is a distinguished and ingenious businessman in Bangladesh. Born only in 1981, Mr. Karim has become one of the most successful entrepreneurs in the country. 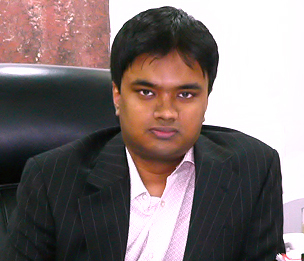 Having graduated from Burnel University of London in 2005, he majored in Information Technology before undergoing a couple of professional trainings in the U.K. After completion of his graduation, he came back to Bangladesh and joined the family business ORION GROUP (www.orion-group.net), one of the leading industrial domains in Bangladesh. ORION has assumed the leadership role in forging ahead with its operations in the cosmetics & toiletries, pharmaceuticals, aviation management, power, high-tech agro products, real estate, construction, hospitality management, trading and infrastructure development sectors. Hi-tech Agro Products and Hospitality Management Divisions having overall responsibilities. Under his leadership, Orion’s sustainability efforts were given outstanding shapes through his unique business concepts and visionary leadership skills. Since he joined his family business, most of the Group’s projects have been success stories – this fact alone is enough to justify a sense of confidence in the Group's future. To join the latest scenario in the global trade, infrastructure platforms with international markets and above all, to provide major contribution in the country’s GDP through the right business to business strategy, Mr. Salman Karim has been successful in the business to strategically position ORION in the global arena by driving the business growth through combining contemporary management techniques with real life practical approach. As a part of Corporate Social Responsibilities of Orion in pharmaceutical sector, Orion, under the direct guidance of Mr. Salman Karim, has formed EPAP (Enliven Patient Assistance Program) under which poor patients get Enliven (Imatinib mesylate – a drug used for Chronic Myeloid Leukemia) at Free of Cost or at subsidized price.